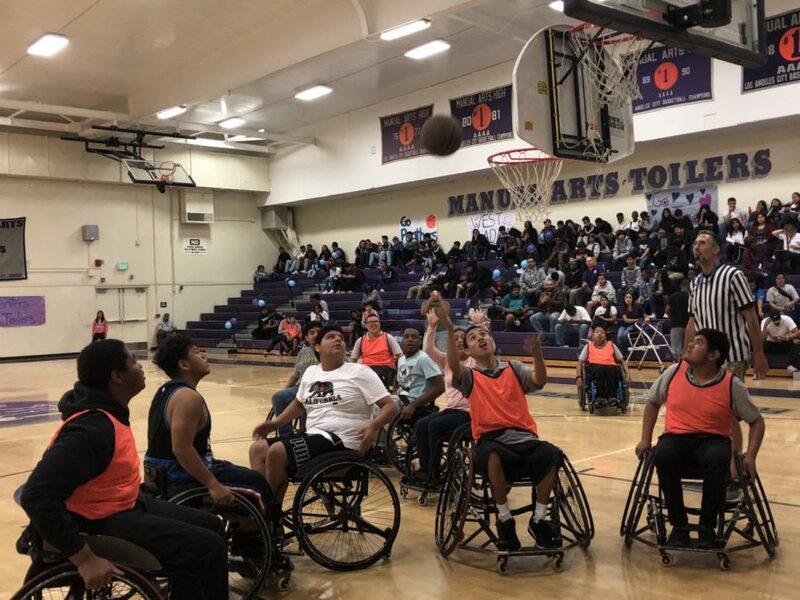 On November 2, 2018, there was a very special basketball game at Manual Arts. The players were playing on wheelchairs. 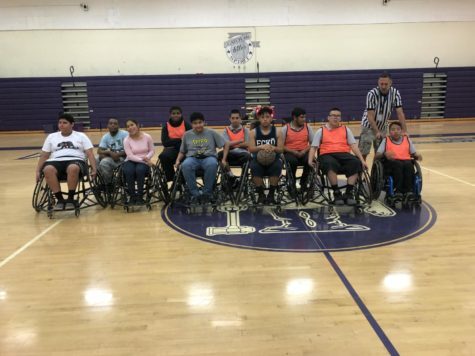 Some students like Brandon Cuellar can walk, but the game required him to sit on a wheelchair and roll the wheelchair on the court for his team. But players like Brijon Dylan have a physical disability, and he needs assistance with walking. He uses Pro Crutches to walk, so he also needed the wheelchair to play basketball. But nothing stopped these students from playing ball! I felt very good to see them play because they are in unique situations. 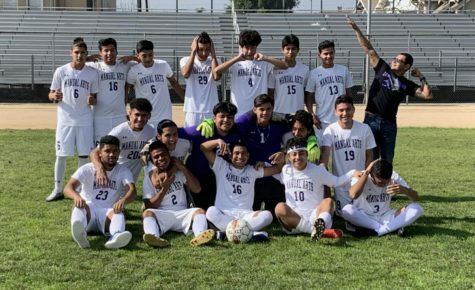 They can’t play like a typical player, but it was a pleasure to see everyone in the audience supporting them, including parents. I interviewed the parents of the children who were playing basketball in the gym. They came to Manual Arts to see their sons and daughters play. 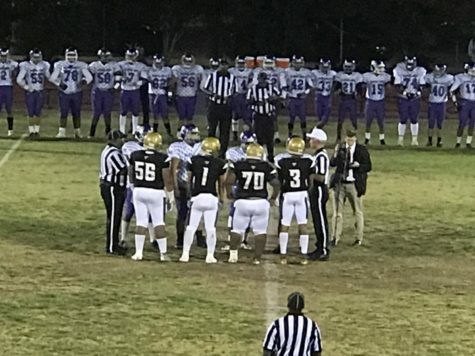 Today, the team played against West Adams High School. 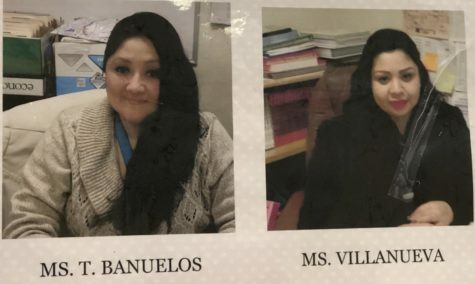 The mothers are Ms. Flores, Ms. Lopez, and Ms. Maritza. Ms. Flores is actually the assistant of one of the players. She told me that she felt good to see her children playing basketball. I also interviewed a mother of the female player, Johana Lopez wearing a pink shirt. 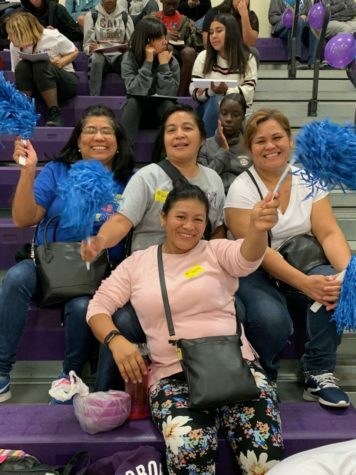 Maria Lopez was excited to see her daughter play basketball. She is very proud of Johana, who is in the 11th grade. Ms. Lopez is super grateful to God for giving her a very nice daughter. She is also very grateful to the school for supporting her daughter. 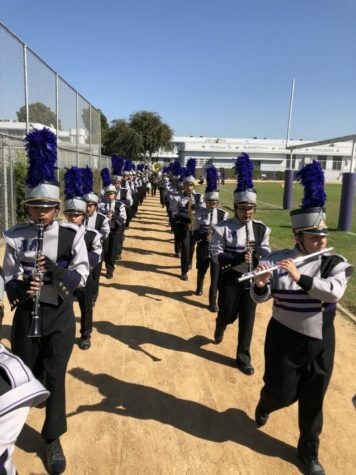 Ms. Lopez says that no child is left without playing. Miss Maritza Aguirre is the mom of Brandon Cuellar wearing the grey Spyro shirt. She felt proud of her son. Brandon is a student of Mr. Joyce in room 265. He’s in magnet classes, and he likes to study math and science classes. Mr. Joyce’s class is being evaluated to attend LA Trade Tech. 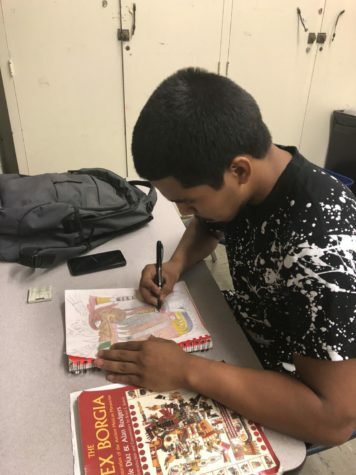 Students are trying their best to go to college. 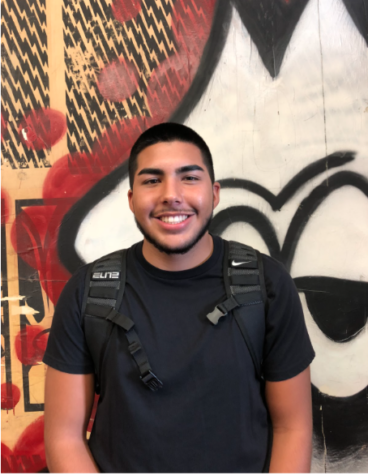 Brandon Cuellar is in 11th grade, and his mom says that her son is very independent. She also said that Brandon likes to eat. “He is very independent and brave,” said Brandon’s mom. She also said that all the students in the team are very sociable and love to speak to people who also speak to them. In that class, Mr. Joyce has nine students in all grades from 9th grade to 12th grade. 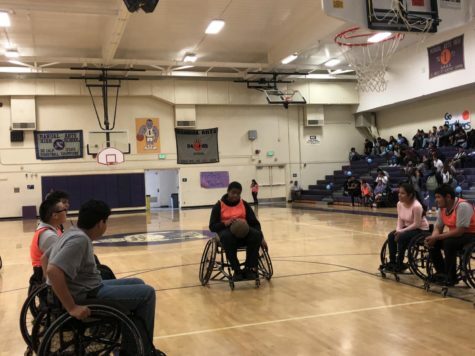 This basketball game made me realize that even when students have some kind of disability, they are just like us, human beings. We must also support them, and see their potential because they must work harder. Thank you for giving us a great game and inspiring us all! Loved this article! It is great to see students with disabilities being highlighted. As a mother of a child with a disability, it has been a fear of mine that my son would be viewed differently and not accepted. After I had read the article and viewed the pictures all my fears have subsided. When I look at the pictures I see a gymnasium full of pride and acceptance. 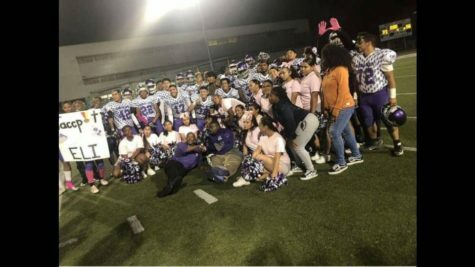 These athletes are an inspiration to all students. 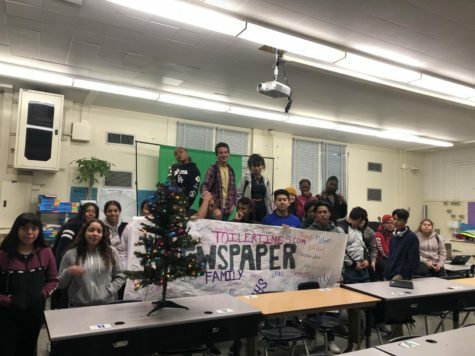 Thank you to Cristal Vela for writing a great article!